"I started a new career and my wife and I wanted to buy a home right away in the vicinity of Southlake, TX. We had little idea what neighborhoods were the best, nor about schools, shopping, activities, etc. We wanted a higher end realty firm to help us find a home; one that often deals with million dollar homes, yet would be willing to work with us simple folk who didn't have even half that for a budget. We were so blessed to find Samantha Zeller. Sam quickly sized us up, determined what we could afford, and got us going in the right direction. She has a great feel for people, a terrific sense of style, and a non-stop upbeat attidude and work ethic. You will absolutly love being around her - and she's beautiful to boot! Within 10 days of us finding her and 2 short visits from out of town she found the place we wanted. Sam won us the home in a bit of a bidding war; she knew just how to handle it! how much to counter-offer what concessions to make or not make, and exactly where to draw the line. We were so grateful to have such an experienced realtor. I felt very compelled to write her a raving review as she does such incredible work, you'll regret not working with her for sure, she's the best! Thank you Sam"
"I highly recommend Samantha Zeller as a realtor. She was both professional and compassionate in her handling of the purchasing on our new home in TX. Samantha has extremely good knowledge of the market that we were looking at and understood from the beginning what exactly we wanted. She is a tireless worker, whose sole desire is to find you the home you are seeking. Along with all of these skills, she is just an outstanding person to be around. You will not be disappointed if you choose to use her." "Sam helped us find our dream home! She was always in the ball, constantly looking thru each new listing that popped up, as we were very particular in what we were looking for. She was always hard at work, no matter what time of day, helping us to find our perfect home. Once we found it, she helped us thru the bidding war...which we did win! Then she made sure each document needed was signed in a timely manner and was very thorough. I highly recommend Samantha, you will not go wrong!" 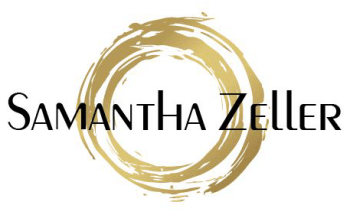 "DFW friends if you’re looking to buy or sell a home, please consider my friend Samantha Zeller! She’s a fellow military spouse and would love to help you find the perfect home for your family."